"In September 2011, La Salle Greenhills rolled out an entire digital curriculum from their elementary to high school honor classes using 14 e-textbooks in 500 Galaxy Samsung tablets. 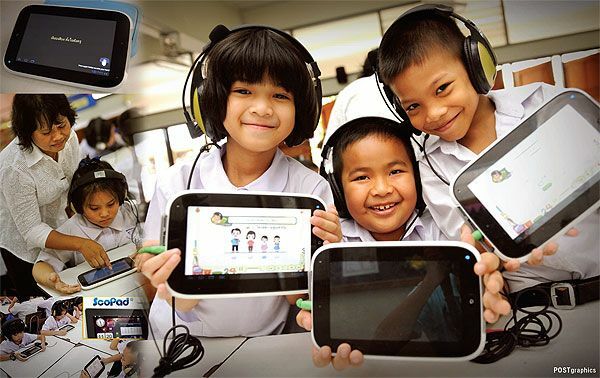 La Salle will issue another 5,000 tablets in 2012 to cover all students and teachers." Now that's amazing! While the tablets may not be iPads like I would prefer, this is definitely a giant step in the right direction to creating these digital classrooms. Hopefully school systems in North America (Come on Saskatchewan!) will see the example that has been laid out for them and follow suit in order to create these amazing learning environments.